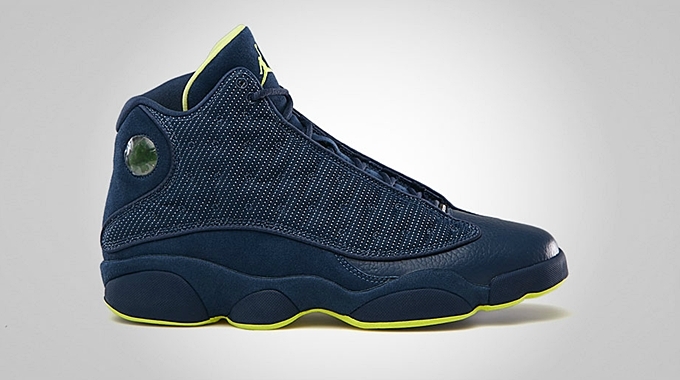 The Air Jordan 13 Retro debuted this year in its original colorway. This February, another colorway of this excellent model hit the market and is currently turning heads because of its eye-catching look. This retro kick is now available in “Squadron Blue” edition that is officially listed as the Squadron Blue/Electric Yellow – Black colorway of the kick. It features a ballistic mesh paneling on top of blue suede plus a blue leather toe box and finished with the popular panther eye holographic branding. This is definitely a must cop kick this February 2013 so make sure to check it out!